I can't believe it is autumn already! 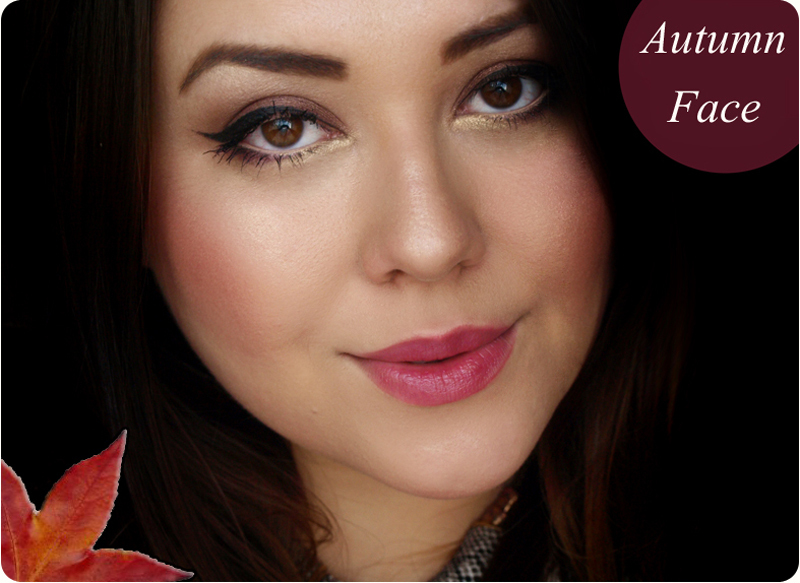 I picked a couple of things I personally think will be perfect for fall and I also created my autumn look with them. My favourite must be the Korres lip butter in wild rose- it is such a beautiful shade and it is very moisturising. If I want even more colour I use the Lip Boom by MUA in a shade called It's a situation. It is a warm and deep burgundy shade with a matte finish, but it isn't drying and it applies beautifully. I will review it separately this week. I also picked the MUA Heaven & Earth palette, because I absolutely love all the neutral, earthy shades and I think they are perfect for Autumn. 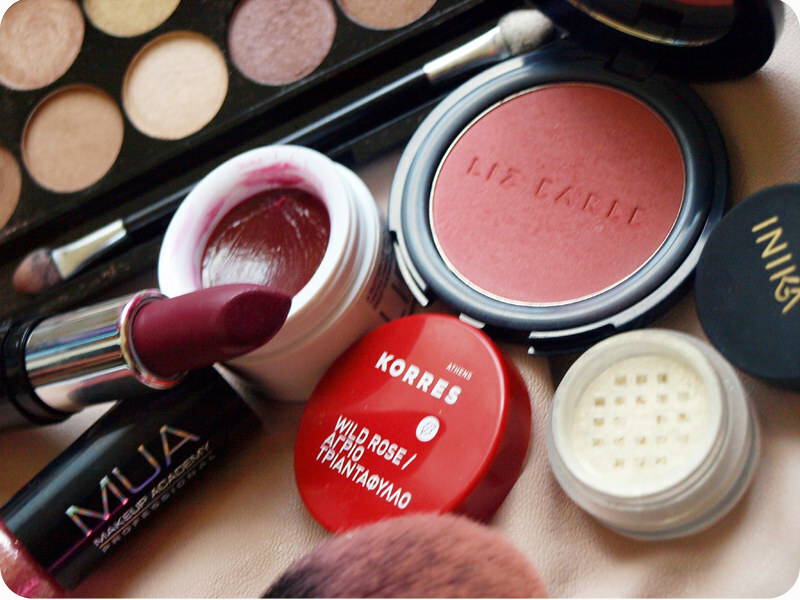 I can't live without blushers and as soon as the summer is over I go for darker shades on my cheeks. 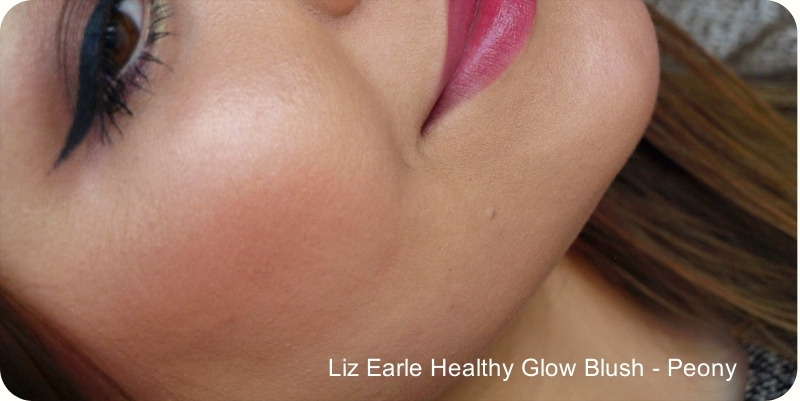 I picked the Liz Earle Blusher in Peony for this look and I will be wearing it very often for the next couple of months :) The last thing I am loving at the moment is a mineral eyeshadow by Inika in shade Gold Dust- it is a gorgeous shimmering gold colour and it looks perfect in the inner corner or allover the lid. In colder months I go for medium to full coverage, so I will be using foundations like: Liz Earle, Lancome Teint Miracle and Vichy Dermablend. I will review the last one soon, because it is my saviour when I have breakouts. 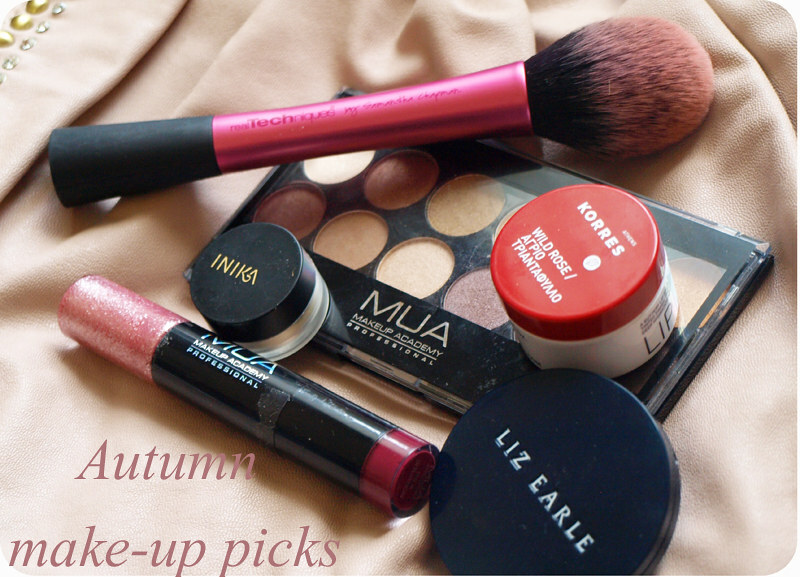 What are your autumn picks this year? I would love to hear some recommendations.